I am a Mom, Wife, Entrepreneur and a Home-maker. I would like to believe that I juggle all my roles to the best of my abilities. I multi-task and expect my makeup to do that too! LOL So I experiment to see what other roles makeup can play, other than the one it is supposed to. Sometimes I fail, other times – JACKPOT!!! 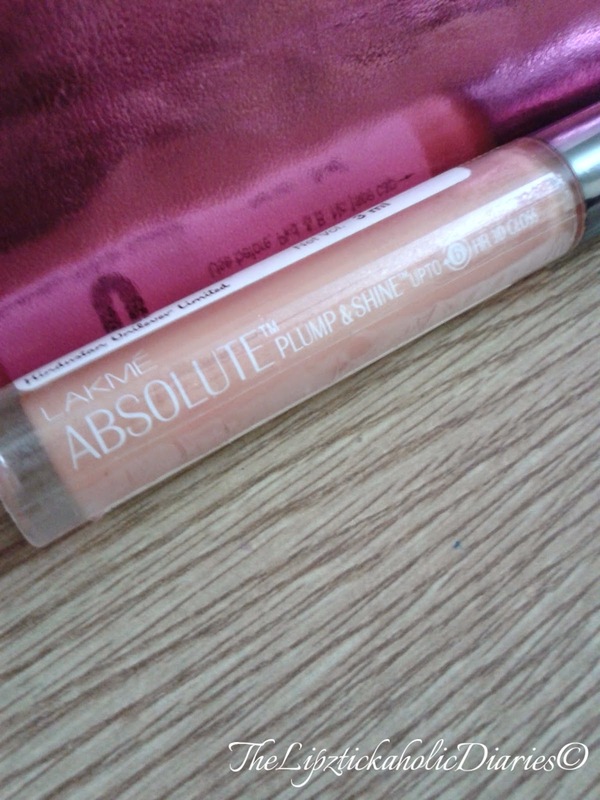 This little guy – Lakme Absolute Plump and Shine upto 6HR 3D Gloss - was a gift. I loved the classy packaging overall but thought the colour would be a tad bit light on my lips. I tried using it over lipstick but then the tacky texture of the lip-gloss put me off. EUREKA!! The above picture was taken after about 2 hrs after application of the gloss and eye-shadow. 1. I took the tiniest…I repeat …tiniest blob of the gloss and applied it over my eyelid. 2. After a few seconds, I dabbed my eyelid with a bit of baby powder to take off excess shine and stickiness from the gloss. 3. Applied eye-shadow as I normally would. Gosh, it not only stuck on, but also showed up true to colour. The gloss itself was acting as a pale coloured base. I didn’t need to pack on the shadow and it didn’t crease on me for the entire time I was wearing it. 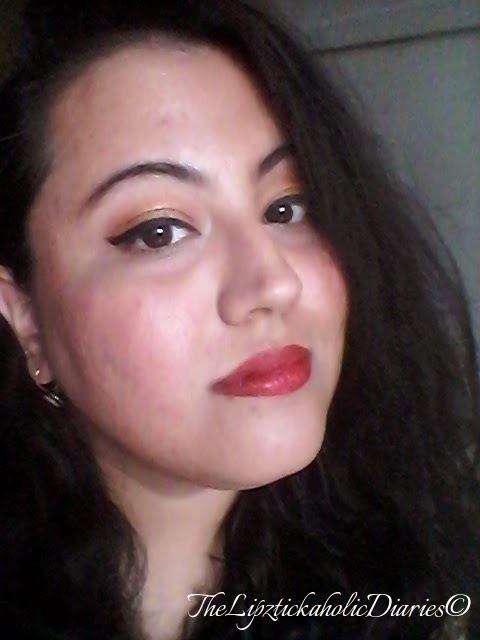 I applied this makeup as an experiment in the afternoon, while my baby was sleeping. After he woke up, we went for a house party and came back post mid-night. There you go!! More than 9 hrs of great wear!! I am so happy that this little experiment of mine was successful. Try it out for yourself with the glosses that you use. If it works, then 'By God ki Kaasam', you’ll never have to buy an eye-primer ever again!! Disclaimer – Your eyes are sensitive. Please be careful and use your discretion while experimenting with makeup.